Tata Communications today announced its International Headquarter Status appointment in Singapore, by the Singapore Economic Development Board (EDB). The company made the announcement at a formal ceremony attended by Mr. S. Iswaran, Senior Minister of State for Trade & Industry and senior officials from Singapore’s Economic Development Board. At the event, Tata Communications announced plans to increase its local Singapore workforce by 60% over the next four years.This includes the addition of 40 new staff to Tata Communications’ global managed services control tower, as well as additional staff into its next generation services development centre. 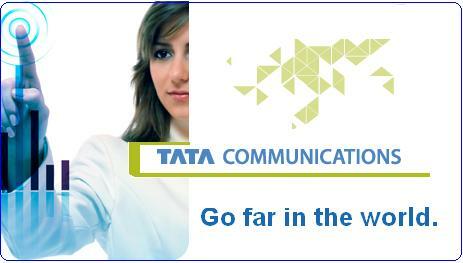 Tata Communications will also invest approximately SGD $110 million per year over the next four years. The planned investments reinforce the organisation’s continued focus on innovation and support of both its customers and the Singapore market. The data centre is expected to attract an increasing number of companies routing and hosting their data in Singapore. The first public Telepresence room in the region was launched in Singapore in conjunction with the Rendezvous Hotel Group in 2010 and earlier this year, Singapore was chosen as the market to launch Tata Communications’ international cloud offering – InstaCompute. Why Do We Love Skype? Earning here and constructing in foreign. go go go and loot lo dunia ko!